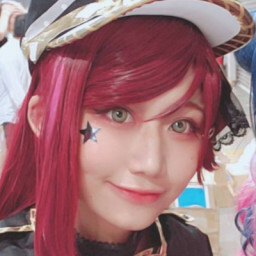 Sakurauchi Riko's posts | osu! https://osu.ppy.sh/beatmapsets/955998#osu/1997057 NM pretty please thank you! https://osu.ppy.sh/beatmapsets/955998#osu/1997057 NM request please thank you! Song Name: I swear Artist: sweet ARMS Map Link: https://osu.ppy.sh/s/955998 Thanks!! https://osu.ppy.sh/s/955998 NM request Thank you!! https://osu.ppy.sh/s/668084 NM/M4M please Thank you! https://osu.ppy.sh/beatmapsets/668084#osu/1413504 NM please Thank you! https://osu.ppy.sh/s/611367 i have a full bn already to nominate thanks for consideration! https://osu.ppy.sh/s/611367 BN check pls m4m alr have full bn thank you! https://osu.ppy.sh/s/611367 I have full bn already Thanks! Hey, 24min drain time... https://osu.ppy.sh/beatmapsets/611367#osu/1290650 thanks! https://osu.ppy.sh/s/611367 maridius would push it if i find another bn.. >< thank you! https://osu.ppy.sh/s/844048 its pretty polished trust me thanks! NM request https://osu.ppy.sh/s/668084 thankl you!